We finally made it to Cuba. I didn’t really know what to expect, of the country or of the people. What we saw very quickly was how friendly Cubans are, especially to each other. (Some who had to deal with tourists were a little jaded.) Sometimes it seemed like everyone knew everyone else all over the country. They don’t, but they act like they do. It is really nice. More than one person said to us, Cuba has some problems but Cubans are good people, which is the most important thing. It didn’t take long to see evidence of both things. 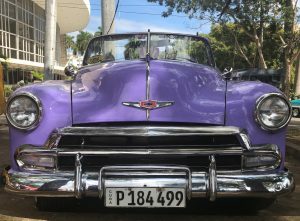 My hopes were mostly about old American cars and music. I am happy to say my expectations were exceeded on both accounts. Some were the kind of machines Dr. Frankenstein would build if he were a mechanic. Many original engines have been replaced with motors from Asia, including diesel engines. It is odd seeing something that looks like a 53 Ford Fairlane, but sounds like a tractor. A few cars do have original engines, but most, if not all, moving parts have been replaced with individually machined parts, sometimes superior to the original. These cars can be worth as much as a house. The other thing was music. 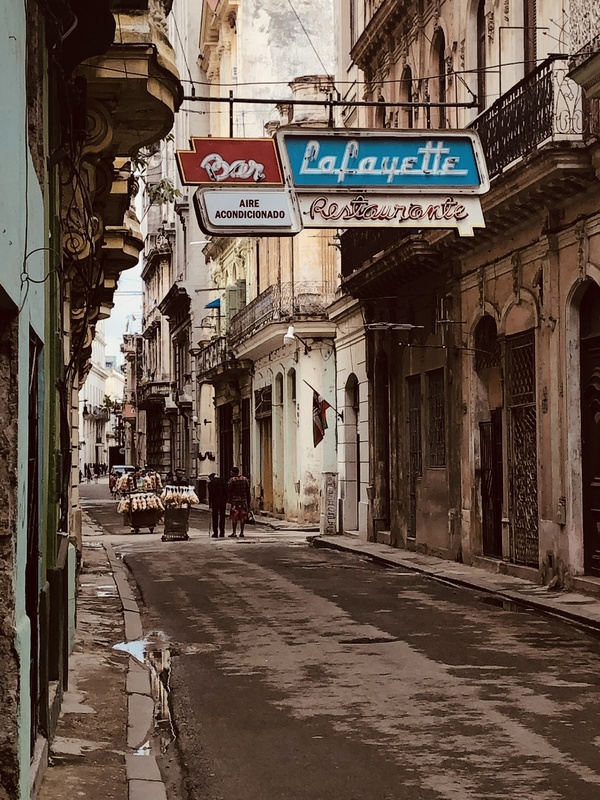 In old Havana, where we spent a week, and Trinidad, where we spent just a couple of days, in the afternoons and evenings it seemed we were never out of earshot of a live band playing salsa, rhumba, trova, and other Latin rhythms. We listened to a lot of great music while sipping mediocre mojitos. So what about the politics, the economy, and all that? 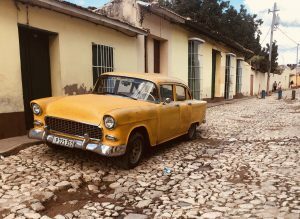 Two weeks in Cuba doesn’t qualify me to say much. I left with more questions than I came with. But I’ll make a few observations. A lot of Cubans have next to no money. For public sector workers such as teachers, police, healthcare staff, etc.—anyone who works for the government—the average salary is about $35 a month. Highly trained medical professionals earn more, but not a lot more. 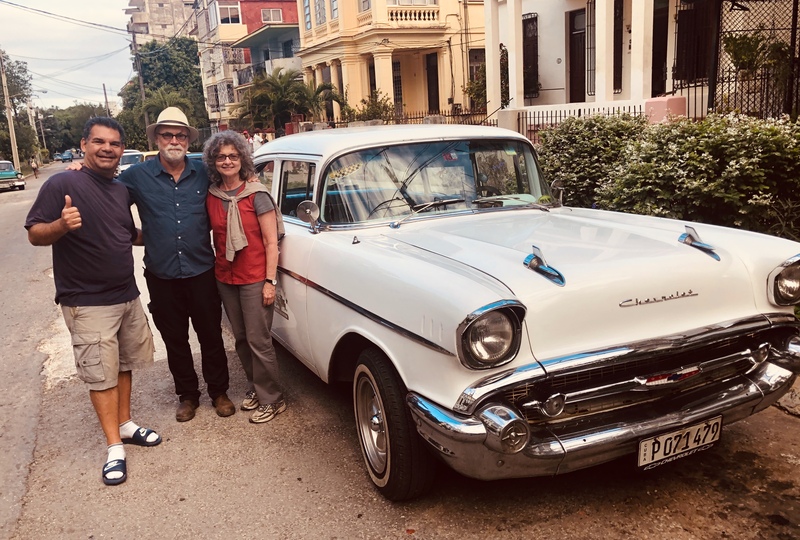 A heart surgeon who lived next to the family we stayed with in Havana makes $80 a month. 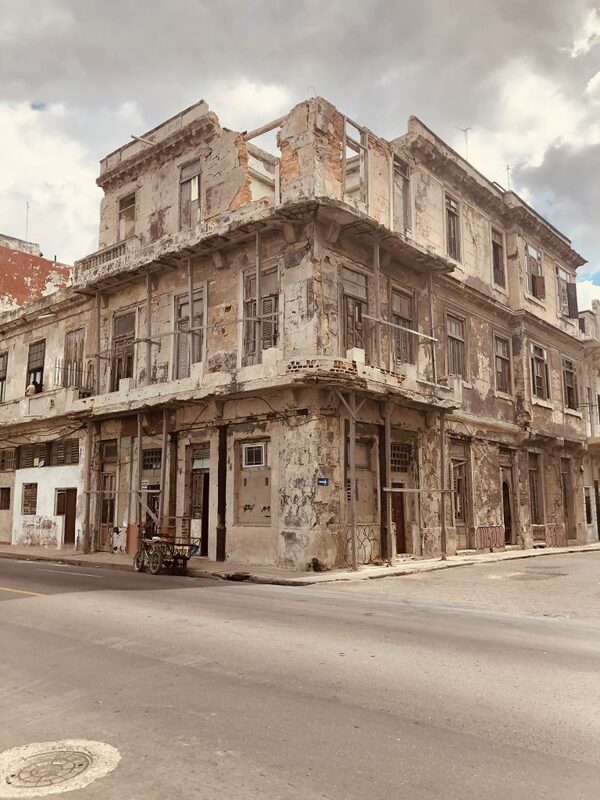 Basically, though Cubans have lived with decades of austerity—in large part because of the US embargo, but not entirely—there is a safety net. Doing more than survive is a challenge, but clearly a lot are earning more than the average government salary. We saw about as many smartphones as anyplace else; there are plenty of fairly new cars. Judging by what we saw as we traveled around the island, Cuba is doing at least as well as most parts of Mexico and Central America. Rural areas in particular looked in better shape than similar areas in these other countries. 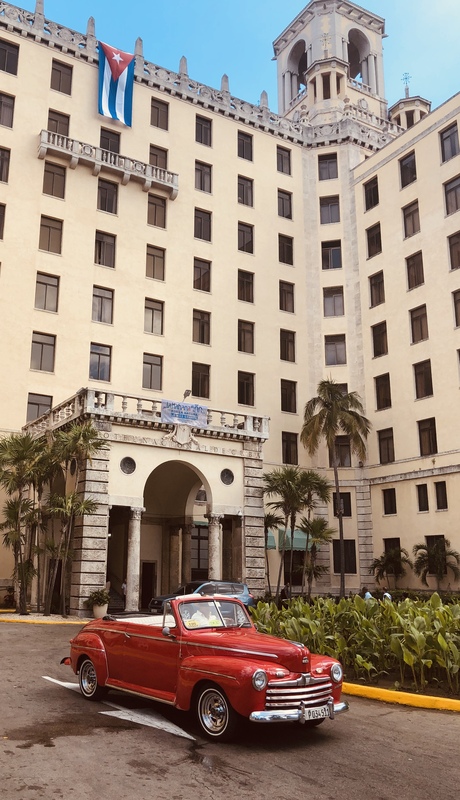 Though the economic legacy of the Revolution has been mixed, one part is a surprising success and, in the end, perhaps more important. 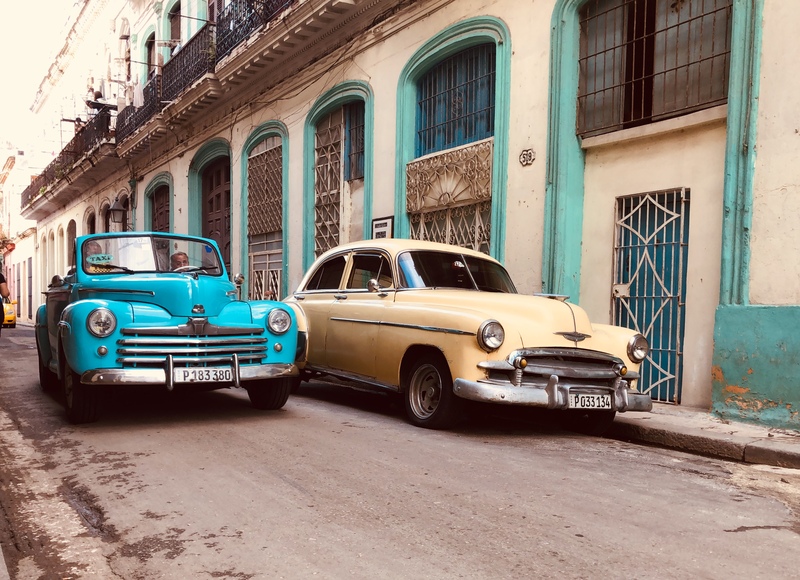 Cuba is a Creole culture, a mixture of descendants of Spanish colonists, African slaves and migrants from other parts of the world who came to Cuba for their own reasons. Cubans come in all colors, black to blond and every shade in between. But they all think of themselves primarily as Cubans. There seems to be no racial friction or tension among any of them. Social interactions, dating, marriage, whatever, seem to take no notice whatsoever of racial antecedents. This was/is a part of the egalitarian ideal of the Revolution. If the trip to Cuba has taught me anything, or changed me in any way, it is seeing what a truly post-racial culture looks like. On a wall in Havana we saw some graffiti that said “You can’t explain water to a fish.” For those of us who come from countries that still struggle with racial tensions, it is like that. There is no better lesson than being somewhere without those tensions. It really is an amazing experience. In the US and Canada, the two countries I am familiar with, there is plenty of overt racism. No one can deny that. But most of us do not think we are racist. I don’t…or didn’t anyway. But latent racism is simply a part of our culture. We don’t understand it any more than a fish understands water. I don’t think we need to feel guilty about it, but we do need to acknowledge it. And we need to end it. Cuba is proof it can be done. In the end the best part of travel is meeting people and making friends. (One of the ways you know you’ve made a friend is when they offer to take you shopping so you can get Cuban prices.) There are at least two or three people in Cuba I expect to stay in touch with. And, with a little luck, I’ll see them again.